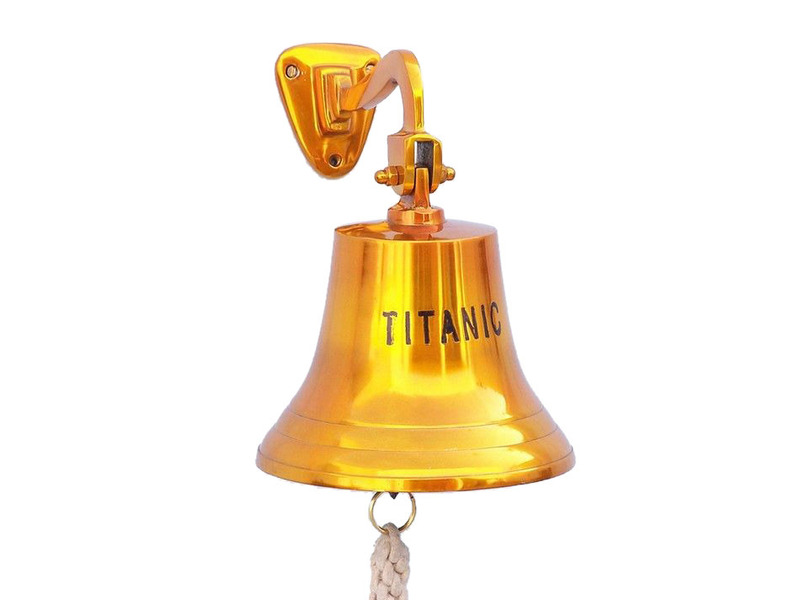 Brass Plated Titanic Ship's Bell 11"
Elegantly designed and gleaming with a lustrous shine, this fabulous Brass Plated Titanic Ship's Bell 11" is equally stunning indoors or out. In addition to being fully functional, this brass plated hanging bell is a great addition to any nautical decor themed room. 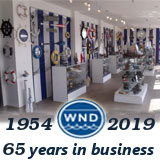 Make a nautical wall art statement and enjoy this wonderfully decorative style and distinct, warm "strike through" nautical tone with each and every resounding ring.